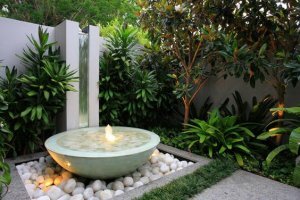 Contemporary Garden Design embraces ‘the sleek’ look. You can enhance your patio, making it an extension of your home, with a contemporary garden design. 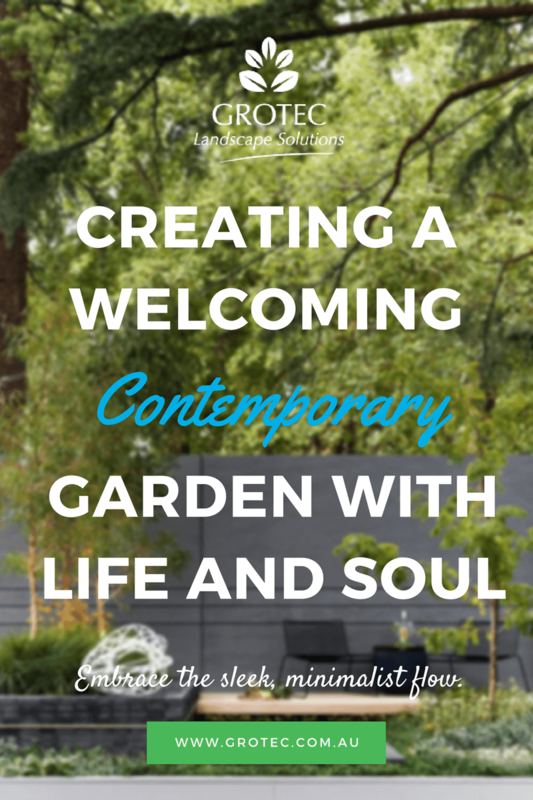 Contemporary garden design should be friendly, inviting and personalised. The indoor – outdoor flow in contemporary garden design shows a minimalist use of elements, (plants, pots, paving) with essential lighting, which is used to emphasise the key features. The areas of organised space in contemporary garden design are the most important. Often the different textures and colours of the elements that are used will blur the boundary lines between landscape and scenery beyond, which is highly desirable. The use of shrubs with small leaves will also give the appearance of greater space and depth. A common pitfall of contemporary design is that the garden appears sterile and lifeless. The colours of the concrete, steel, and different stones are uninviting if these are overused. Flower colour and ornamental grasses, for example, will warm the design, and as a general rule, there are no perennials planted, as these tend to appear loose and messy. An area of lawn or paving will give an open feel that does not loose privacy. Repeat patterns of planting will hold the design together, creating interest in the actual plants. Succulents will provide an easily controlled garden edging. Want a contemporary garden designed? – call the experts at Grotec! 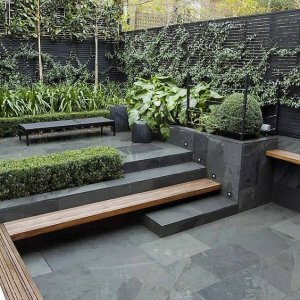 A very contemporary garden design will incorporate the colours black, grey, green and silver. There will be neutral tones in non-focal areas, and the perimeter walls should fade into the design. The paving or concrete used should be complementary in colour to plantings or pots. A horizontal wooden fence can mark the garden edge. Modern plants will be sculptural, and ornamental grasses come into their own. However, the temptation to follow fads must be avoided. For example, black mondo grass in contemporary garden design rose, then fell in popularity because it was over-worked in designs. Using simple geometric shapes of lawns and paths, contrast can be made using groups of repeat patterns of plant varieties. As well, there are numerous variegated varieties that provide a contrast to other elements – spreading bamboo (Sasa veitchii), or Gracillima (Zea mays) will do this.